A new season has already begun and it seems like Cristiano Ronaldo is staying in Madrid despite the rumors from the last few weeks. Can the Portuguese forward continue playing his A-game for another season? What more can be said about Cristiano Ronaldo? He is a bastion of world football, a recipient of countless individual awards (not to mention mega-rich) and was man of the match in his most recent UEFA Champions League final triumph. Remarkably, the man from Funchal has never once failed to hit 25 league goals per season, since moving to Real Madrid in 2009. As such, for anyone to suggest that he has lost his "killer instinct" would be somewhat hysterical, but Ronaldo may eventually become a victim of his own commercial success. Due to his evergreen ability, worldwide stature and age, Ronaldo's (rare) bad performances – for instance, a 4-0 home defeat to Barcelona in November 2015 – are often touted as the start of a personal decline, but he is simply too good to stay down for long. He has philosophical moments that get him through the difficult times, and though he was obviously a major component in Real Madrid's La Liga and Champions League double of 2016/17, the total of 25 league goals he plundered for the European champions was a personal worst in his Spanish top flight career. 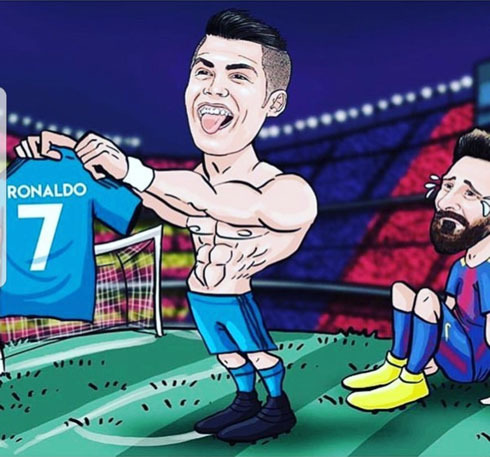 Certainly, it paled in comparison to top scorer Lionel Messi's decidedly more muscular total of 37, and when the calibre of opposition outside the regular top three is considered, the more cynical CR7 worshipper may see Ronaldo's relatively meagre total as the beginning of the end for his time in Spain. This view is lent further credence by the fact that he amassed a gargantuan league total of 48 as recently as 2014/15. Rising stars - How do they measure up? With the departure of Neymar from Barcelona to PSG, Ronaldo will receive a greater share of scrutiny from the Spanish media in the upcoming La Liga season. This scrutiny will also be exacerbated by the notable absence of Danilo and Alvaro Morata to the English Premier League, and James Rodriguez to the German Bundesliga. Real Madrid have also signed some new youngsters, as the club prepares to battle with Barcelona for long-term La Liga supremacy into the next generation. French left-back Theo Hernandez, arriving at the Bernabéu from rivals Atletico Madrid, is likely to make the most of his youthful energy and bomb forward whenever afforded the slightest opportunity. While he is under pressure to justify his £27m fee, he will be in excellent company amongst defenders that have been the cornerstones of Real Madrid's domestic and European dominance. On the whole, the expectations surrounding the 2017/18 La Liga are very much the same as those of its predecessor. Barcelona and Real Madrid will be the frontrunners, with the latter priced by betting website Betway as 10/11 favourites to lift the title. Beyond the podium, which will almost certainly be completed by Atletico Madrid, most of the remaining top-half berths are fair game. Though, these teams will struggle to match Atletico Madrid for strength, there are still players within them that have the potential to be the breakout star of next season. Amongst the chasing pack, Sevilla – fourth-favourites to win the title, and most recently famous for winning the UEFA Europa League three seasons running – have strengthened at both ends of the pitch. Colombian striker Luis Muriel has arrived from Sampdoria for £18m, with Danish defender Simon Kjaer joining him from Fenerbahce. Inevitably, in time, New York City FC or Los Angeles will be Ronaldo's next destination, but with Real Madrid star Alvaro Morata now plying his trade at Stamford Bridge in Chelsea FC, Real Madrid need to keep the club's most versatile attacker at all costs. Although his versatility can change games, in terms of his ability to command his peers and change the game beyond his position, there is an ever-growing belief that he is not the superpower he once was. 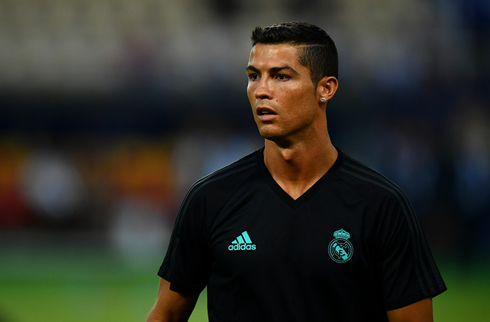 As reigning European champions, Real Madrid are there to be shot at, and with another gruelling campaign looming, Ronaldo's ability to play twice a week will be tested like never before. Cristiano Ronaldo next game is for the Spanish Super Cup on August 16 of 2017 against Barça. You can watch Juventus live stream, Real Madrid vs Barcelona, AC Milan vs FK Skhendija, Sawnsea City vs Manchester United, Everton vs Hadjuk Split, and Bayern Munich vs Bayer Leverkusen, all matches provided from our streaming football game pages.